Investment in railways and the export of its technology is key to the future growth of China’s economy. Chancellor George Osborne visited China earlier this month to boost trade links between the UK and China. 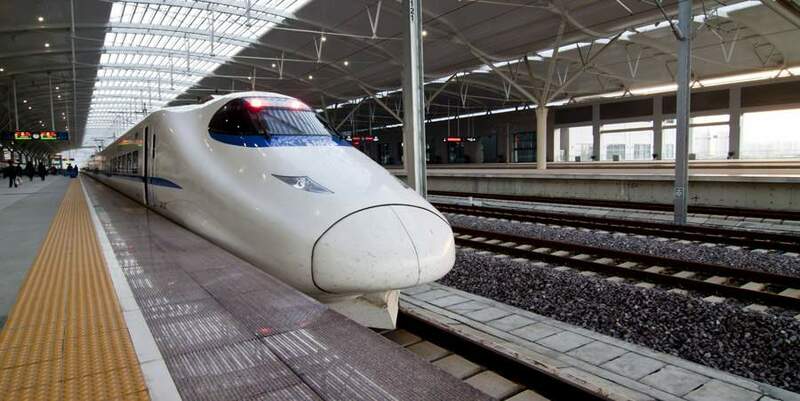 He has urged China’s Railway Rolling Stock Corporation to bid on the UK’s HS2 line in 2016, worth £11.2billion, so that the “best technology for high-speed rail could be brought into the UK,” as quoted by Simon Kirby, the chief executive of HS2. Mr Osborne’s China trip comes ahead of a state visit to the UK by Chinese President Xi Jinping next month, which will be the first by a Chinese leader for a decade. High-speed rail was introduced in Japan over 50 years ago. Its success has attributed to the development of high-speed railway networks across the globe. Asia is seen as the forefront of the future of this technology, with Japan testing the fastest Maglev train earlier in 2015 and China now having the world’s largest high-speed network with extensive plans to export its technology to Europe, Africa and South America. Today, both electronic powered Bullet Trains and magnetic powered Maglev Trains are the kings of high-speed rail. The Shanghai Maglev train is not only the world’s first commercially operated high-speed magnetic levitation line; it’s also the world’s fastest commercial train in operation where it reaches speeds of 431km/h (268mph). Open since 2004, it connects Shanghai Pudong International Airport to Longyang Road station in Pudong, allowing for interchange to the Shanghai metro system. 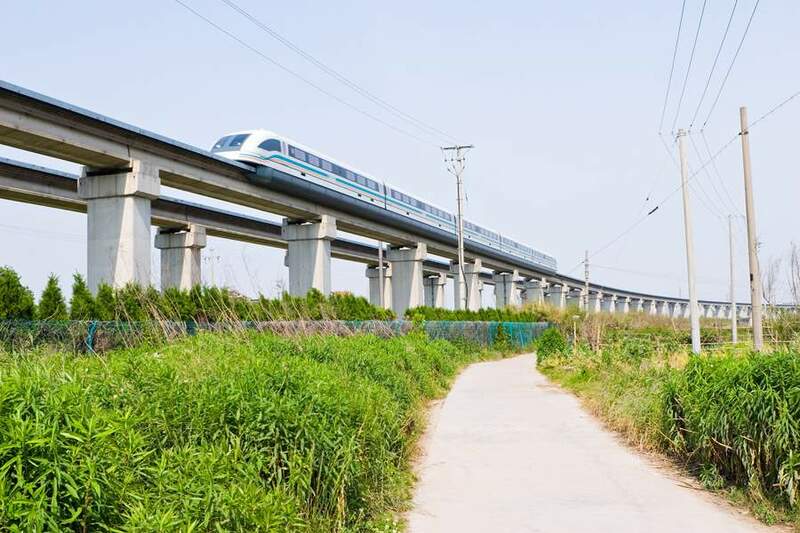 Reaching speeds of 350km/h (217mph) within two minutes, the Shanghai Maglev quickly reaches its top speed and makes the journey between the airport and the city in only 7 minutes, 20 seconds. If you visit Shanghai on one of our tours, you may get the opportunity to experience a return trip on the Maglev as an optional extra. It’s not to be missed! “Longyang Road station looks like any other Shanghai station, but the moment you step onto the Maglev platforms and the train pulls into the station it looks almost futuristic. As you take your seat, the Maglev effortlessly glides out towards the airport. An electronic display shows the increasing speed at which you are travelling. Coupled with the outside landscapes rushing past, it’s hard to believe that something moving so fast can feel so smooth. 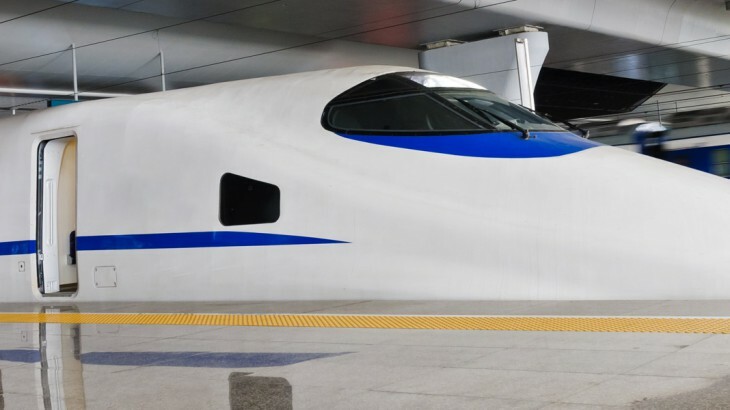 The Shanghai Maglev won’t hold its commercial speed record for long though so experience it whilst you can: the world’s fastest Maglev train is currently under construction in Japan, reaching incredible speeds of 505km/h (314mph). Our popular A China Experience tour lets you experience the Shanghai Maglev as an optional afternoon excursion. Many of our China holidays which feature Shanghai as a destination also have this option. 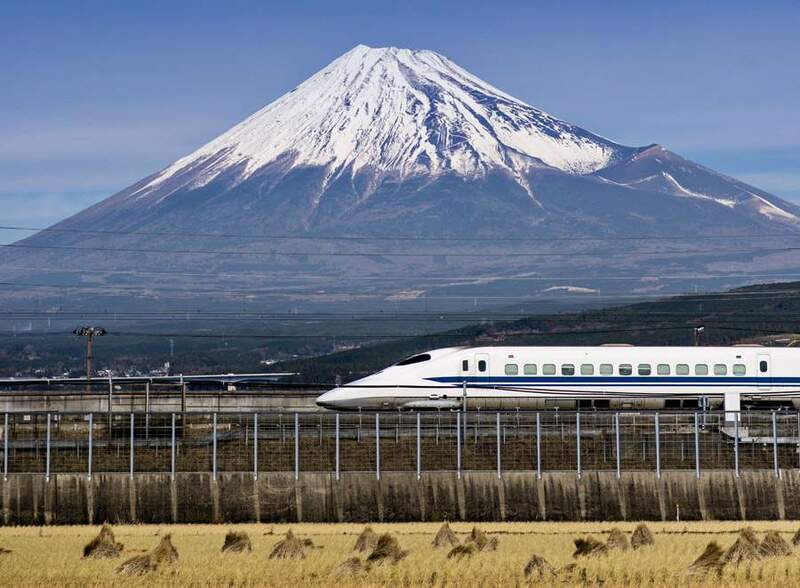 When you think of Bullet Trains, you think of Japan. Whilst Japan is world famous for its Bullet Trains, China now has the world’s longest high-speed rail network with nearly 10,000 miles of track. It also has the world’s longest service between Harbin and Wuhan, taking 14.5 hours to travel 2446km. The past decade has been a high-speed railway boom for China funded by the Government’s Economic Stimulus program. Its huge network allows for greater economic benefits to both major and second-tier cities, increased tourism numbers and an improved environmental performance. It once took nearly 12 hours to travel by train between Shanghai and Beijing – this has now been more than halved to just under 5 hours with trains able to reach speeds of 350kp/h (217mph). More and more cities are being connected by high-speed lines, allowing for easier connections, less reliance on air travel and better business trading. The Bullet Trains are punctual, modern, comfortable and more affordable than flying internally. There’s a refreshments trolley and First Class seats are available. There is also a special Business Class area where seats can electronically recline and complementary green tea is served. The views are all very different depending on your route, as China is a huge country with many unique landscapes, which you’ll see for yourself if you cook a China tour. 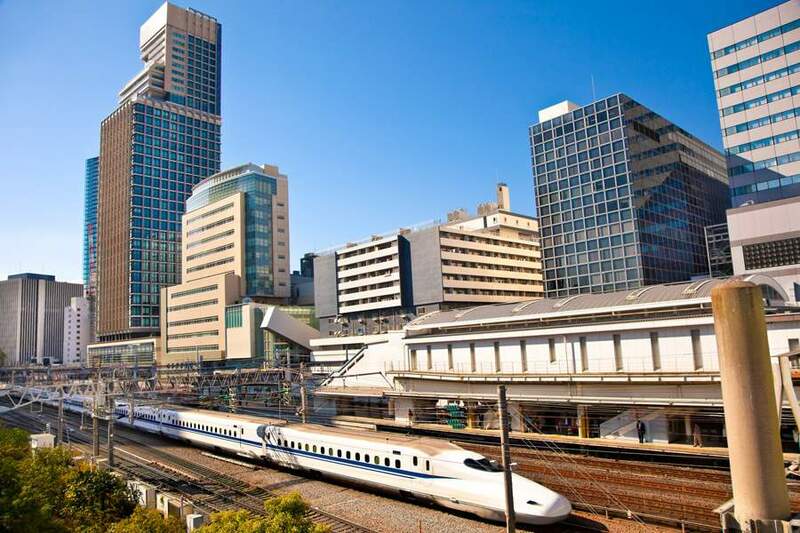 Tom, our Senior Product Executive, travelled by Bullet Train in May 2015. Jonathan, our Director of Product Development, has also travelled on a Bullet Train in China on the Shanghai to Hangzhou line. Our popular Glories of China tour lets you experience the thrill of Chinese high-speed rail with a Bullet Train journey between Xian and Beijing. 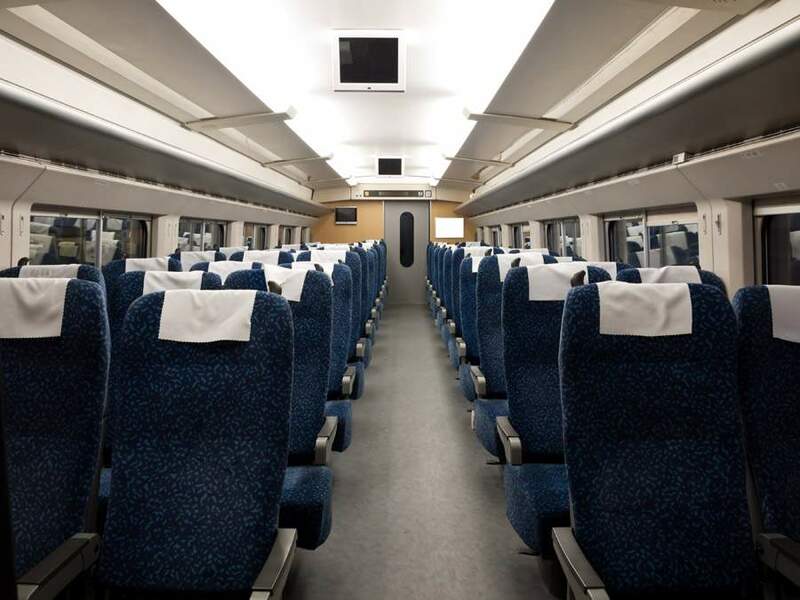 When travelling in Japan, tourists will almost always choose to experience the thrill of the Bullet Trains rather than flying internally, especially as the Japan Rail Pass is such good value for money. Also known as the Shinkansen, the Bullet Train network currently links major cities on Honshu and Kyushu islands, with the new Hokkaido extension opening in March 2016. The Tōkaidō Shinkansen, connecting the popular tourist destinations of Tokyo and Osaka, is the world’s busiest high-speed line operating at speeds of 320km/h (200mph). Daniela, our Digital Marketing Executive, travelled all around Japan on Bullet Trains in May 2014. Our stunning Jewels of Japan tour lets you experience the thrill of Japanese high-speed rail with a Bullet Train journey between Mishima and Kyoto, Himeji and Hiroshima. Visit Asia with the UK’s leading Experts, Wendy Wu Tours. Our award winning escorted, fully inclusive tours visit all the major sights of Asia for an unforgettable holiday. China, Japan transport, travel. permalink.